SERVING FAIRFIELD AND SURROUNDING COUNTIES OF SOUTH CAROLINA. Creighton is a native of Winnsboro and has lived in Winnsboro all his life. 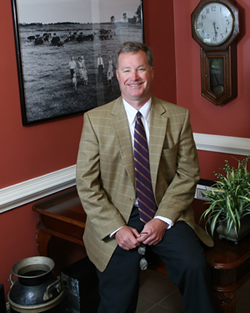 He graduated from The Citadel in 1979 and the University of South Carolina School of Law in 1985. He was admitted to the South Carolina Bar in 1985 and to the Fourth Circuit U.S. Court of Appeals, in 1993. Creighton was formerly a Fifth Judicial Circuit Prosecutor, 1985-90; Sixth Circuit Prosecutor, 1990-92; and Com. of Disciplinary Procedures, S.C. Bar, 1992-95. Creighton has been a member of the Vestry at St. John's Episcopal Church, 1997-99; Chairman of the Fairfield County Democratic Party, 1998; and served on the Public Defenders Board for Chester and Fairfield Counties. He served in the South Carolina House of Representatives 2001-08 and was elected to the South Carolina Senate in 2008 and is serving on the Judiciary Committee. Creighton also serves as Town of Winnsboro Attorney. Creighton practices in the following areas of law: general practice; civil litigation; criminal law; personal injury; accidents; motor vehicle accidents; traffic violations; real estate; probate; Social Security; family law; and Workers' Compensation. Creighton and his wife, Marion, have three children, Creighton Buchanan, Jr., Chandler McNair, and Marion Walker. Creighton enjoys hunting and spending time with his family. Carol is a long-time resident of Fairfield County. 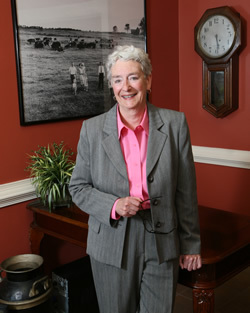 She graduated from Indiana University in 1969 and the University of South Carolina School of Law in May 1987. Carol was admitted to the South Carolina Bar in 1987 and admitted to the Federal Courts of the District of South Carolina. Formerly, she practiced law with Kenneth G. Goode and Associates. Carol is a member of the South Carolina Bar, the South Carolina Trial Lawyers Association, the Fairfield County Bar; the South Carolina Women Lawyers Association; and presently serves as President of the Fairfield County Bar. Carol is a Certified Family Court Mediator. Carol practices in the following areas of law: family law; real estate; probate; personal injury; accidents; motor vehicle accidents; traffic violations; Social Security and Workers' Compensation. Carol lives with her Australian Shepherd, Sugar Babe, on the lake and enjoys fishing, boating, golfing, reading and kayaking. © Copyright 2019 Coleman & Tolen, LLC. All Rights Reserved.